Antiques are often more valuable when their provenance can be determined, and the more details regarding ownership and travel, the better. Thus, the extensive history of the tiny netsuke described in this memoir makes them essentially priceless. Purchased in Paris in the 1870’s, the travels of these tiny figurines reveal a much bigger and more important story than one could imagine. In fact, the general history of WWII and the days leading to it, across the European continent, are a part of their history. This ‘art memoir’ combines a narrative of both the personalities of the owners and world history into the netsuke origins (see photo). Edmund de Waal, who began to research their origins in 1991, is an esteemed porcelain artist on his own, and his perspective on the netsuke is more insightful due to his own artistic vision and relation to the family. It’s both personal and historical. The collection was held by his uncle in Tokyo, and had been passed down from their original purchaser, Charles Ephrussi, in the 1870s. Charles Ephrussi was the ultimate collector. Wealthy beyond imagination, he left Paris for Italy and made extravagant purchases for his Paris apartment. He hung out with Proust, Renoir, and Degas, and was part of the high society in Paris that revered all things related to art and literature. De Waal uses impeccable research to discuss the catalogues of possessions that Ephrussi owned and the family dynamics in that opulent age. However, one detail made all the difference. Ephrussi was Jewish. Thus, while he died before the worst came, his family suffered greatly and the netsuke made their own significant journey. The book examines what happened in Vienna to the Ephrussi family in 1938, when Hitler’s power was at its height and when both soldiers and common people decided to take away the wealth of the Jews when they had the opportunity. First, brown shirts invaded the homes of the Ephrussi family and simply smashed and destroyed what they wished. Then they returned and took the paintings and books, cataloguing them with photographs so that Hitler could personally decide what to do with them. Their money was stolen. Some family members managed to escape to other countries, but it meant leaving everything behind. In all the violence, a lowly maid named Anna (a Gentile) managed to quietly hide the netsuke in her mattress, and held them, not for certain profit but for the opportunity she was sure would come, when she could return them to the family. Her loyalty inspires the author, yet the irony of the netsuke’s survival is not lost: “why should they have got through this war in a hiding-place, when so many hidden people did not? I can’t make people and places and things fit together any more. These stories unravel me.” Thus, 264 of the netsuke were restored to descendents of the Ephrussi family. Reading more like a thriller than a memoir, the details are rapid and shocking. Seeing how ordinary people behaved in horrific circumstances was revealing, in both their noble and barbaric acts. 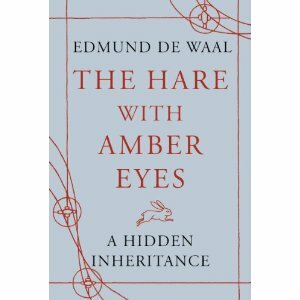 De Waal does not write simply in facts, but reveals subtler clues to the people involved. Rather than simply noting the wealth of Charles, he uncovers a more personal trait; Charles “does not know when to shade eagerness and become invisible.” Thus he makes a story of objects also an exploration of character. This is truly a beautiful book. I’ve had to read a few art histories that seemed stale-there was no personality behind the stories. This is amazing both in content and form, as the lives interwoven with the netsuke make them unforgettable. I visited the Santa Barbara Museum of Art’s recent Asian exhibition in hopes of seeing netsuke firsthand. There were none to be seen, and nothing that was displayed struck a chord within me as did the stories behind these pieces. Special thanks to Chatto & Windus London for the Review Copy. Did you know that the phrase "fifteen minutes of fame" originated with Andy Warhol? Or that the expression "here's mud in your eye!" originates with either horse racing or Jesus curing a blind man? Austin Powers "not my bag, baby" refers to early jazz when a person's interpretation of music was their signature style, their 'bag'? "Shake a leg" comes from a naval wake-up call? "Women were allowed to sleep onboard ship when the navy was in port. At the cry of "shake a leg", the occupant of a hammock had to show their leg. If it was hairy, they had to get up and work. If not, the woman could stay and sleep in. You needed to know that! Or that "to a T" refers to the measurement of a drafter, using a T-square to keep lines accurate? This is a fun book, done in an alphabetical format by phrase. Some of the etymology goes back centuries, others are fairly new. In any case, it would be a great reference for a student or especially someone learning English and who may be unfamiliar with such usage. Special thanks to Julie Harabedian from FSB Associates for the Review Copy. James Pak is a smart guy-he's heading to Oxford and his qualifications are impeccable. He knows the facts of history, is well-educated in most fields, has a gentlemanly manner, is apparently good looking, and cash doesn't seem to be an issue. He seems to have it all together, except for the haunting questions about his father's suicide that nag at him in inopportune moments. His main problem seems to be that while he studies the facts of history, he doesn't understand the emotions that are interlinked with it. Unless one can ascertain both, they aren't prepared to deal with some of the ugly truths that surround them. In this novel, The House of Widows, we see James try to make sense of it all. He travels to one of his father's oldest friends, looking for answers. Much about her is veiled in mystery, and her strange brother and her adopted Palestinian daughter complicate James' understanding as well. He discovers that what he thought about his father was so wrong that it has to change how he thinks about himself. In fact, James plays the unreliable narrator to perfection. The novel travels throughout the world, with James on a quest for answers, yet ignorant to some of the solutions he carries with him. War is a repeating motif that underlines the emotional ties to history. They can't be separated and defined on a page. And the trouble that comes with searching for answers is realizing that the answers may be worse than your imagination. On top of that is the knowledge that in many cases, such as the Middle East (where portions of this book take place), there are no easy answers that are palatable to all. A few times my jaw dropped in shock at some of the revelations, and at other times I was a bit overwhelmed by the tragedy of it all. 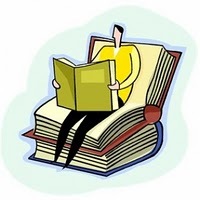 It is engrossing...you may find it difficult to put down, which is probably for the best because it's easy to lose track of each character if you step away for long. Be prepared for surprises, and if you really want to appreciate it, have a map of Western Europe at hand. The only thing that mildly annoyed me about the book was some of the dialogue felt surreal-a bit unrealistic in the way seemingly ordinary people speak. Yet that too reveals part of the complexities of their emotional baggage. 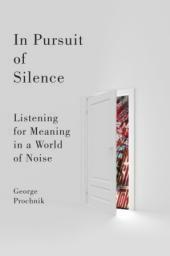 Special thanks to Erin Kottke from Graywolf Press for the Review Copy. If you are considering a worthy charity to donate to, in any amount, let me share one that I discovered with a cause that is near to my heart. The Jack & Abby Neonatal Foundation raises money for families of infants in the NeoNatal Intensive Care unit (NICU). Usually, it's because of premature birth that a baby has to stay in the NICU, and it often requires the transfer of the preemie to a hospital in a large city. This entails a huge amount of expense outside of the hospitalization: rooming, food, travel expenses, and gear for the smaller-than-average baby runs up fast. While some babies spend only a few days, others can be there for six months or more. This organization, found at http://www.jackandabby.org/ helps parents in that situation financially as well as with advice for handling the stress and medical terminology. It's a scary time....they can help. Why is this subject dear to me? 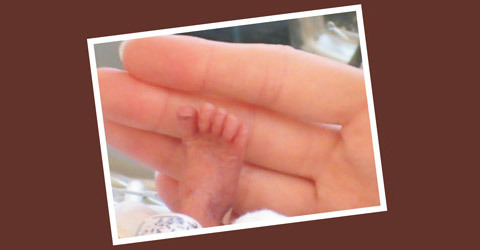 My youngest son was born in 2007, approximately 10 weeks early. He had to be immediately transported to a larger hospital about an hour a way from where he was born. He spent the next six weeks in that hospital. It was heartbreaking, because I couldn't immediately travel with him. I had to wait five days to even see him (but Daddy and Grandma got to go). In any case, I'll spare you the emotional drama but share that the an organization like Jack and Abby could have been helpful-I had no idea what we were in for. The hospital was amazing, and they had an organization that provided small studio cottages for parents of NICU babies at $25 a night...a steal in the expensive location! But, we could only stay six consecutive nights, then had to leave to offer an opening to another parent, and after a space opened again we'd get another six nights at the low rate. This saved us a huge amount of money, but even with it, the hotel we had to stay in nearest the hospital was closer to $200 per night (and we weren't there to do anything but sleep). Being far from home meant living off cafeteria food and vending machine snacks. In that position, the last thing you want to do is find a restaurant, and the studios didn't feature kitchens. So, long story short, it was a difficult time, and an organization that can help a parent during such a time is a great thing-especially in that their own tragic experience makes them attune to the needs during this time. In all, we were fortunate...our rainy day fund came in handy because indeed, it was symbolically stormy! We now have a perfectly healthy boy, and I credit the nurses and doctors at the NICU for helping him through various crises. Other parents with longer stays and medical complications may not be as fortunate: this organization can help them with their preemie needs during and after hospitalization! If you are looking for an organization to send all your surplus cash lying around, I'm sure they'd appreciate it! Note that it's an .org suffix and not .com, it matters. Also, they are a 501 (3)(c) charity. Their page loads slowly at times, please be patient! *One really cool memory: the six cottages that the hospital provided were known in the community for their purpose, so occasionally we'd return late at night from the NICU to find a bottle of wine, or vase of flowers, on the doorstep. Strangers are awfully sweet sometimes! 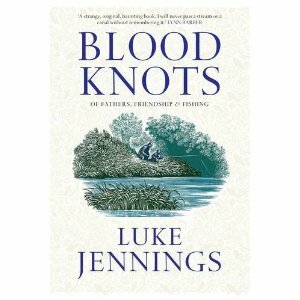 Luke Jennings memoir starts out as peaceful recollection of his early childhood and his drive to learn to fish. He recounts his upbringing, his fascination with the natural world, and his early fears while in the theme of angling across England. He speaks fondly of his father, as well as a country hand named Tom who helped him learn the intricacies, indeed, the art of fishing. Patience and observation are skills he learns that serve him for a lifetime. As his life progresses, naturally it becomes more complicated. He forms friendships and looks to his future with a range of emotions. His British life is continually touched by historical and political events both past and present, and he finds his way trying to balance that knowledge and still maintain the childhood mystery. 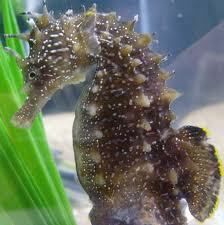 He always returns back to the pond or river to restore his outlook. He soon becomes acquainted with a larger-than-life figure, Robert Nairac, who influences his life as a friend and mentor, teaching him history while at the same time teaching him falconry. This influence can’t be minimized, and no doubt the violence that ends Nairac’s life is both shocking and somehow expected. Throughout, however, the return to nature is much as Wordsworth describes-a function to restore peace. The book itself is peaceful, quiet almost, and the descriptions of landscape and people are detailed and revealing. The overall feel is just as soothing as a river, even when tragedy occurs. The author also is clearly devoted to fishing: he drops names of famous books and fishermen in British culture that may well be familiar to readers there. His description of fishing is not a hobby, but a lifestyle. Conquering the wild indicates more than a subtle hint about his personality. While I enjoyed it overall, a few times the quiet pace felt a bit numbing. It seemed repetitive in some of the descriptions of the ‘hunt’. The other thing, strictly a personal issue, is that I simply cannot comprehend ‘catch and release’ fishing. It is supposed to be more humane, but seems barbaric to me. If someone wants to fish to provide food, fine. But to hook a fish, possibly damaging its mouth and scaring it to death in the process, just to throw it back, seems kind of sadistic. I realize it’s the thrill of the hunt that Jennings explains, but I still don’t understand. I realize some hooks are not barbed, but still, it yanks on their body and they fight against it, perhaps damaging their gills or other fish parts, for what? Lastly, since it is a true story, I thought photographs of some of the locations and people might have been helpful. Special thanks to Atlantic Books in the UK for the review edition. It’s tough being a poet. First, there’s the whole stereotype of the cerebral, tortured artist who offers the world little but obscure verses. Then your Dad starts doing the passive-aggressive thing and slights your work whenever he can. Your son calls your career a ‘hobbyhorse’. You get no respect. And to make one big step away from the starving artist that he imagines typical poets to be, he goes out and buys a top-notch overcoat, high style and big money. He’s old-fashioned, and decides the cell phone pocket will be perfect for his cigarettes. That one detail shows a great deal about him: he isn’t fitting in with the times. So with this new overcoat, and an invitation to a poetry festival in Lithuania, he makes a new plan. He’s going to move towards an experimental form of literature, and 'review' the events of the festival before it even happens. His cynical and disparaging review reflects all the clichés of poetry, and poetry festivals in general. Bad food, terrible lodging, and worse, pretentious poets who take themselves far too seriously than he thinks they deserve. His caustic review makes him feel fresh and innovative, and he leaves for Lithuania with low expectations. However, despite the fact he condemns the poet’s lifestyle as often as possible, it’s revealing that he still wants to go. Why not just skip it? This is one of the complicating facets to Sturla: he’s not really sure what he wants to be, and at his age, it’s hard to change. His life is full of contradictions: he wins money (that he doesn't need) at a slot machine when he’s just killing time, and his aging father gets more attention from the ladies than he does. While he works part-time as a building superintendent (possibly the diametric opposite of a poet), he likes to hint to people that he’s a published poet. Who is the real Sturla? Only in Lithuania does Sturla even begin to understand just how he fits in, and his exploits there are terrifying, frantic, and sometimes slapstick. He realizes that his “predicted” review is not only wrong, but almost criminally so. Lest this sound too serious, keep in mind that Sturla is possibly one of the funniest characters I’ve run across. He’s snarky and witty, and throughout the narrative there is a remarkable amount of humor as he pokes fun at himself, his family, and most of all, the literary world. 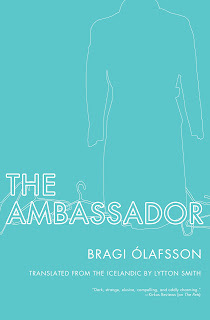 The author, Bragi Olafsson, writes Sturla as the least expected poetic figure: needy yet badass, sensitive but acerbic, and always unpredictable. The book in whole is more comedic than serious. 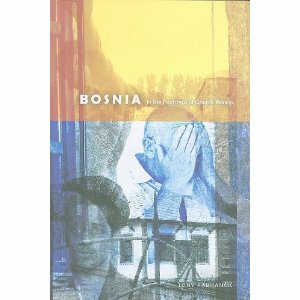 Yet it also gives a unique glimpse into the world of literature and translation, cultural disparities, and historical influences that define a geographic location. I loved the little things that make Sturla a real person: the way he’s annoyed by his Dad’s constant calls on the new cell phone he finally gets, his simple desire to just get a cup of decent coffee, and the way he mentally rehearses little remarks to himself to get them right. 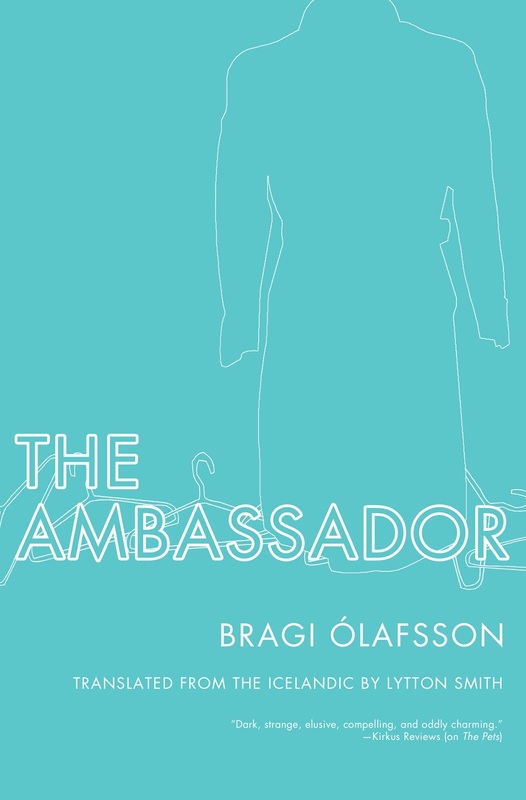 Additionally, Olafsson hints at the need for poetry and literature as a means of dealing with the contradictions and complexities we all face. for the Advance Review Copy. This title released yesterday, October 12, 2010. 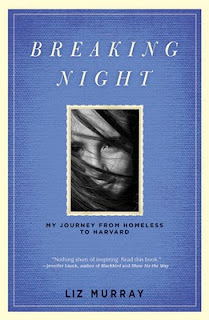 Thanks to Hyperion for sending an additional copy of the new memoir by Liz Murray, Breaking Night. She's an inspiring young woman who went from homelessness to Harvard, and she chronicles her journey in this book. I'm offering a new first edition hardcover of Breaking Night to a random winner, from the US or Canada only (sorry! ), to be selected on November 5, 2010. On that date, my own review for the book will post, and the winner will be notified. The rules are typical: followers can enter, leaving me an email address or some way to contact them in a comment below. One extra entry is allotted if a commenter also tweets about the giveaway (just leave a link or your twitter ID). The winner has 48 hours to respond with mailing information or a new winner is selected. Please note: you must be a follower of the blog to enter. Special thanks to Hyperion for providing two copies, one for review and one for giveaway. 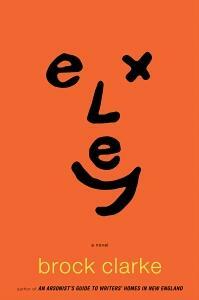 After you finish reading Exley, by Brock Clarke, you may need to take a few moments to catch your breath. You may not sleep well, and that’s certainly not because of anything horrific or scary in the book. This book, quite simply, messes with your mind. First, the characters are wildly created and completely unpredictable. It starts with Miller, or M-, who is a child prodigy on a quest to find his father who left the family suddenly and without explanation. He’s a weird little kid, but likable, and you can’t help but feel sympathy for him as he misses his dad. The only explanation he can find is that his father must have left for Iraq (they live in an army base town), and this explanation doesn’t sit well with his mother. She arranges for him to meet with a psychiatrist to discuss Miller’s ‘wild imagination’. Miller and the doctor form a tentative relationship, with Miller’s explanations sounding more reasonable than anyone else’s. The key to all of this, to separate it from any number of books about dysfunctional families, is Exley. Frederick Exley, is the author of A Fan’s Notes, the favorite book of Miller’s father. His father’s so tied to Exley’s books that when he gets a phone call on 9/11 to tell him to turn on the television, he can’t be bothered. He’s too busy re-reading the book. The book becomes Miller’s only connection to his dad. He carries on his father’s obsession and turns to Exley (or at least anything even remotely related to Exley or his writing) to bring him back. With book in hand, he searches all over Watertown to find a connection and an explanation. In between searching, he teaches his father’s English class at the Junior College, meets a mysterious young woman who may have known his father, and visits the VA hospital searching for clues. This is one busy kid. The psychiatrist, Dr. Pahnee, isn’t exactly the appropriate choice for a mental health professional for Miller. This makes him perfect in terms of the book. Because while Dr. Pahnee utters the traditional psychobabble, he’s also not above prowling Miller’s house when no one’s home, and following him around to verify if any of Miller’s claims could possibly be true (both of them on bikes). He’s not above hitting on Miller’s mother, and as several of the chapters are written as his patient notes, we see just how far out of the range of normal he is. He is given to uttering repetitive phrases-repetitive and, indeed, annoying. (Just like that sentence!) Quirky doesn’t even begin to describe him. Clarke writes the characters in a brisk way that creates instant visuals: he describes the father “like a bear with hurt feelings.” The mother is an uptight lawyer whose emotions are best deciphered by the position of her hands on her hips, and who is so rigid that her business suits are assigned a certain day to be worn. Everyone else that Miller meets fits the same non-mold, and the effect is dizzying. Despite the craziness, there is a genuine thread of humanity that aims to understand how much (or how little) of what we want to believe relates to what actually is true. It also toys with the idea of imagination as a therapeutic process, a means to adjust to and possibly accept changing circumstances. The book reminded me a bit of Jonathan Safran Foer’s Extremely Loud and Incredibly Close, which has a child protagonist on a similar journey. Yet Clarke’s novel has a more satisfying ending, and doesn’t fold up quite as neatly. The flawed and outrageous characters for the most part were still sympathetic. My only irritation was that the character of Miller’s mother seemed apathetic much of the time, and insensitive to Miller’s father need. And to be honest, at times the unpredictable events almost became predictable once you get involved into the story…it’s as if you begin to expect more of the same. The cleverness that was refreshing at first, did, albeit only a few times, get stale. Special thanks to Megan Fishmann of Algonquin Books for the Review Copy. National Poetry Day, Philip Gross poem "Room Inside"
a feeling-low-and-slow or a high-as-a-kite room. There’s a room in my house where nobody goes. There’s a room in my house where nobody has been. There are secret compartments that nobody’s guessed. There’s a room that is private, that no one can own. You can build one yourself out of breath, flesh and bone. There’s a padlock that opens to nobody’s key. Click on tab at top for recent Poetry reviews to get leads on some newer poem collections in several styles of poetry. Especially noteworthy is Pablo Neruda and Manolis. The first thing I thought of as I read this book was that Vanderbes writes people very well. Her characters are complicated, flawed, and still sympathetic. None of them are stereotypically good or bad. Rather, they are real. This book has a large cast of characters, and each of them remains memorable even though I've finished the book. 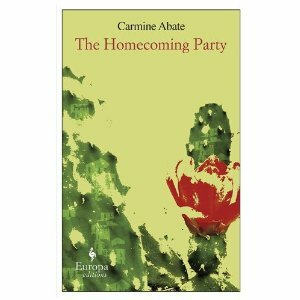 The premise of the book is the gathering of a family for Thanksgiving. The two parents, Gavin and Eleanor, their adult children, Douglas and Ginny, as well as Douglas' wife Denise and their children all congregate at Ginny's house for the big dinner. A surprise guest is Ginny's new adopted child Priya, a mute seven-year old girl from India. The novel splits into different narratives as the author describes, third-person, each of the characters. Eleanor, an aging sort of Mrs. Cunningham (from Happy Days), is controlling yet naive, with no grasp of how to interact with her family except to tell them what to do. Her focus is on material objects: the perfectly set table, the correct baking temperature for turkey. She appears unable to have a real conversation with anyone. In fact, she inwardly wonders if her adopted granddaughter came with any "guarantees". Her life has only one focus: motherhood. She constantly questions why her children don't appear to need her anymore, while she remains devoted and willing to do anything for them. She's even known to send herself cheery postcards, and while at first she annoys, you realize the pain that makes her act this way. Ginny is her daughter, an academic who lives to show off her knowledge and gloating at any perceived ignorance. Her knowledge is a cover for her feelings of worthlessness. She's adopted Priya suddenly in a grasp at finding meaning: instant motherhood is the answer she comes up for in her search for happiness. Sadly, she can't seem to relate to the child in any degree, and treats her more as a small housepet. Her head knowledge leaves her little common sense, and her proposed feast becomes a disaster. Douglas is a verifiable doofus, a real estate developer sinking into debt, who annoys everyone with his fascinating for discussing hypothetical situations: 'what if you won the lottery!' In this way he can avoid the reality of his financial ruin. His wife can't stand any of them, and only tolerates them because she dislikes her own family more. Lastly, Gavin, the patriarch, is a Vietnam vet who feels worthless in his life as an insurance salesman, and feels threatened by anyone elses's success. With a good premise and great characters, this novel has all the makings of a classic. Only the plot is a little bit disappointing. The character studies go on a bit too long, enough to make you wonder what the point is. 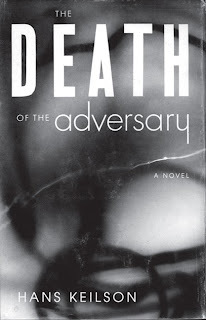 An undercurrent of an impending crime is hinted at, but occurs late in the novel. The denouement is a bit unsatisfying as we never see how the characters evolve in any way, except for Eleanor. However, her transformation is the key to the novel and saves it in the end. 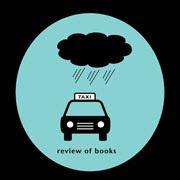 While I enjoyed the author's voice, and the way it was snappy and fast-paced, she seemed to get off topic in a few places, namely a long discussion on Vietnam, another on menopause, and a thread on urban blight in the city. These detours were distracting and stalled the narrative quite a bit. The sudden denouement also felt forced. Special thanks to Scribner Books for the Review Copy. This title is on sale now. Nancy Pearl is back! In case her name doesn’t ring a bell, she’s probably just about the coolest librarian you can imagine. If you tell her you want something adventurous, she won’t simply hand you a Jon Kraukeur book, she’ll ask you to be more specific. She could probably ask you half a dozen questions and then suggest the perfect title for you. She did this for the world when she wrote Book Lust a few years ago. In it, she compiled lists of authors and book titles (often with a synopsis) that have connections to other books. So if you wanted Irish Fiction, the category would give you a large list of fiction titles, some well known and others long out of print. Similarly, she classified hundreds of books under different categories, some general(cold war spy novels) or more specific (novels written by physicians). In her third book, Book Lust To Go, she tackles travel. To me, it’s the best of the series. These aren't Lonely Planet guides: you aren't going to learn language or customs or cheap places to stay. Instead, it collects a list of titles based on the destination. You want books set in Finland? There’s a section for that, and it includes fiction and nonfiction from the region, as well as history books that may be useful. She covers the world with books; even the most obscure countries and cities have titles listed. Being able to see a grouping of several genres in one geographical category makes this the ultimate resource if you are studying a particular area or doing a regional reading challenge. 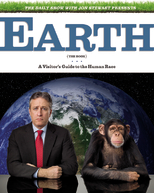 Special thanks to Haley Stocking of Sasquatch Books for the Advance Review Copy. 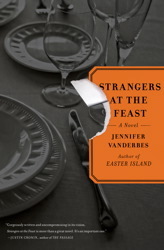 In reading Strangers at the Feast, by Jennifer Vanderbes, she discusses something called the Kuleshov Effect. It has to do with context and editing, and how the placement of images can affect perception. She explains it this way: "Lev Kuleshov, a Russian filmaker, edited a short film using static images of an actor's face alternated with shots of a plate of soup, a girl at play, and a coffin. After seeing the montage, audience members raved about the actor's varied emotional expressions-pensiveness, happiness, sorrow-when, in fact, the image of the actor was the same in all the shots. Viewers created narratives based on merely the sequence of images..."
"The essence of the Kuleshov effect is filling in the blanks, or connecting the dots. Mozhukhin isn't actually looking at anything; he probably doesn't even know what they'll make him look at, so he can't possibly be reacting to it. He expresses no emotion, so an audience cannot possibly see emotion on his face, but the audience does. The viewer is presented with a situation or environment along with the academic fact that someone is experiencing it. He cannot simply accept the actor's evident emotion, as none is given, so he decides what the appropriate response would be and assigns it to the actor. This seems incredibly interesting, and I wonder if the same concept would apply to the editing and images used in the written word. Could the placement of descriptive elements add to, or subtract from, the impact of a scene? Could a writer frame specific words in a context that would change the perception, or increase the emotion that a reader imagines? The Patagonia region of Argentina is nearly desolate, even today. Extremes of weather, especially of wind, and the fierce dry cold make it virtually uninhabitable. Yet this is the location of a new colony of people, who left North Wales in 1850, and made to believe they could settle it and live in a peaceful, religious community. Poverty, violence, and debt made these people eager to leave and start over, and a charismatic leader, Edwyn Lloyd, assures all of them that this new world waits for them with abundant wealth. "so much has been stolen from us-our land, our language, our culture! But soon we shall endure no more. Soon you will see our promised land....Cattle! Trees. A splendid river. And grass- oh you should see it-mile upon mile of the most verdant pasture....A place where God's law shows us the way!" Many make the long journey by boat, and several die on board from illness and lack of food. Where they end up is far from verdant and lovely. The hard and unforgiving landscape immediately places the settlers in danger, and discord breaks out between them Additionally, Edwyn finds the going so rough that he disappears as well (although he returns later). Reports of violent local Indians scare the Welsh visitors, and they are abandoned to nothing, with no communication or supplies. Death is frequent, as are squabbles over power and leadership. This story focuses mostly on men in distress. While the women care for the children and domestic matters, the men try to figure out how to create this new society. By virtue of this, the men are actually the most interesting of the characters. First is Silas, who lost one child on the journey and another upon arrival. He remains in the background during the fights over control. He's strong and opinionated, but his strength is in observing the nature of the other men. It is Silas who manages to create a relationship with an aging Indian who approaches them. His brother-in-law, Jacob, however, is far less wise. He craves attention and desperately wants to lead, despite his lack of experience and disinterest in realism. He's so blinded by his religious belief that they are destined to make this society work, that he feels no need to participate in actually doing the work. He's a weak and pathetic man. Selwyn, a Welsh man who spent time in Wisconsin, is more realistic and cynical towards the situation. He and Silas appear almost as an alliance in order to keep the others calm and avoid violence, since many of the newcomers think they can take on the Indians themselves. The themes of power, respect, and racial superiority are explored in a fast paced and unpredictable narrative. 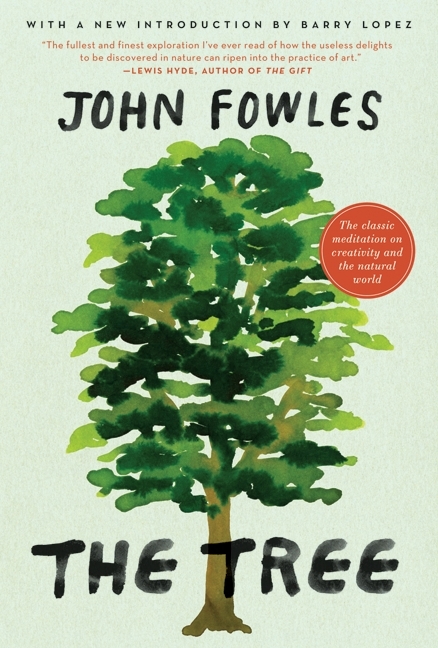 I enjoyed this book, especially the descriptions of the flora and fauna of Patagonia. I actually Googled some of the locations just to visualize the scenery. I think the men were well defined and their actions were realistic. However, the women in the story seemed more stereotypical; some were actually panicky and delicate and hysterical. The imbalance isn't total: there are some strong women. They just aren't as fleshed out as the men. What was frustrating in the reading was the singular belief in the superiority of their race over the indigenous peoples, a reality that is as likely as it is unfortunate. However, in all, this is an excellent story with a premise and delivery unlike anything I've recently read. Special thanks to Simon Hicks of Seren Books of London for this review copy. It goes on sale today in the United States.